is used in a wide range of applications to produce different shapes of aluminum, carbon steel, and stainless steel. Generally, a metal shop will have a raw flat sheet of metal as a starting point to fabricated and to create different shapes and forms. These structures are either final products or components of a huge assembly. The first step is to cut the sheet metal in to the size required to start the sheet metal fabrication process. A raw stainless steel or aluminum sheet metal will be cut probably using one of these techniques such asthe plasma cutting method or the laser cutting method. The laser cutting method is normally preferred as it produces perfectly accurate results. The metal will be cut into the desired shape for the next fabrication step The laser cutting method is a computer programmed method and hence, it is safe and quick method to cut the metal sheet. The software that is controlling the laser machine is programmed based on the provided measurements for the chosen metal and thickness cutting the sheet metal part producing the most accurate results. Bending is the process in which a cut metal sheet is folded carefully to get the intended form. It does seem easy, but it is not. In fact, you will need an expert’s supervision while performing bending. It might be done automatically or manually. There are various methods to bend the metal shape such as press-brake. Assembling, as the name suggests, is all about joining different pieces together to create a final product. There are various techniques used for assembling too such as crimping, welding, riveting and threaded fasteners. To create durable and reliable final products, finishing is very crucial. Once the final product is produced, the deburring and cleaning comes into the picture. Having a smooth finish to the metal not only prevents injuries but is also crucial if the metal part gets a powder coating. Remember, metal fabrication requires skilled manpower to accomplish and requires specialization. Search in your area and find a reliable metal fabrication company that offers high-quality services at best affordable prices. You can also find them on the internet. Read customer reviews for a particular company before you hire. Also, you can check the portfolio of the company you are hiring to ensure superior results. 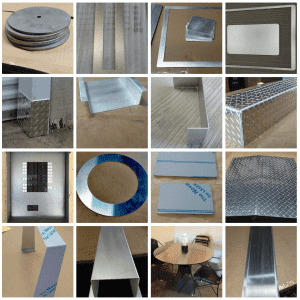 The sheet metal fabrication is very vital for manufacturing of various products. 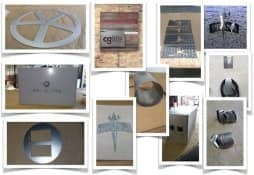 MetalsCut4U.com is a renowned name offering high-quality, reliable metal cutting services.